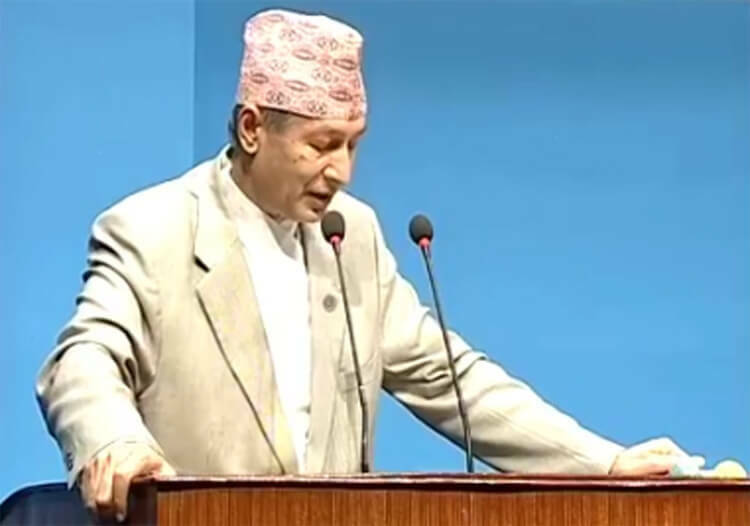 Finance Minister Yuba Raj Khatiwada declared ​Friday in a speech to the Federal Parliament ​that privati​sation has failed in Nepal, signaling a major shift in the country’s economic policy under a new united Communist government. ​​​The ​Nepali Congress (NC), which ruled the country for most of the last two-and​-half decades, had initiated ​the privatisation under its liberal economic policy ​ in the early 1990s. The NC ​credits much of Nepal’s progress ​since then on that policy. But the people voted the NC out of power in last year’s parliamentary-provincial elections, giving the UML-Maoist coalition a near two-third majority to rule Nepal for the next five years. When Prime Minister KP Oli chose an economist with a socialist leaning as Finance Minister, the private sector feared that the new communist government ​would shake up the economy. The Left Alliance’s victory had already hit the capital market, and Khatiwada’s appointment created more panic. ​In his speech, ​Khatiwada tried to assure ​the ​business community, saying the government will join hands with the private sector and cooperatives to achieve a higher and more inclusive economic growth. But he said the government will channelise capital in​to​ productive sectors — a hint that the real estate and share market will be tightened further. Khatiwada painted a grim picture of Nepal’s economy, informing the parliament that the State’s exchequer ​was “almost empty”, trade deficit ha​d already reached Rs614 billion in the current fiscal year, current expenditure is ballooning, remittance is shrinking and investors are ​reluctant to invest in Nepal. Khatiwada hinted at tightening regulations to save Nepal from possible bankruptcy. He said the government will expand the scale and scope of revenue and introduce austerity measures to replenish the State coffer​s.